We have a small water feature off our back porch. It’s probably about 300 square feet in size, holding maybe 2000 gallons of water. 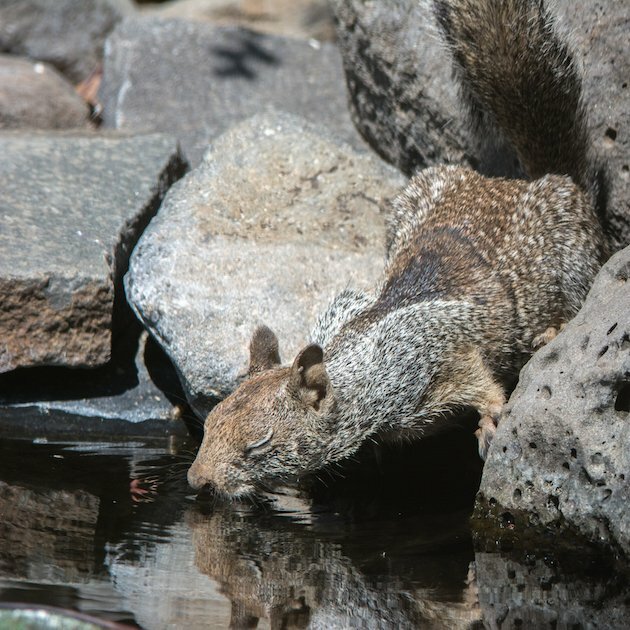 In addition to nest boxes around the property and bird feeders in the yard, the water feature is our most efficient wildlife magnet. 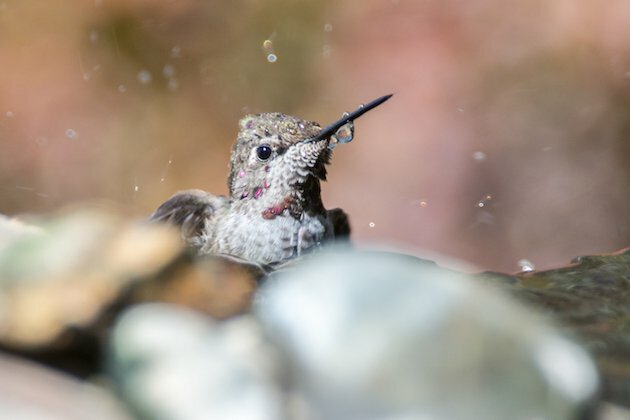 Birds, in particular, can’t resist running water. 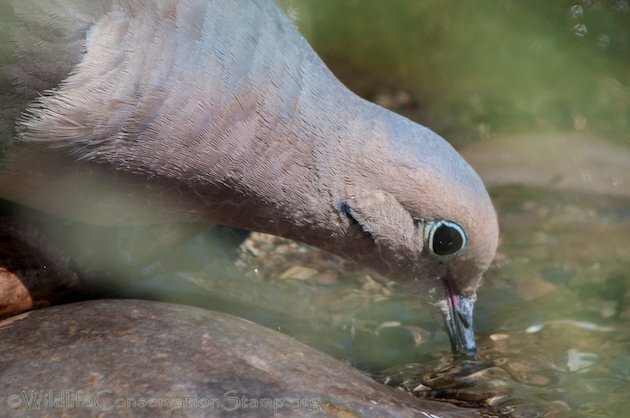 Even though Eurasian Collared-Doves have encroached on my property, I still enjoy the company of Mourning Doves (Zenaida macroura). 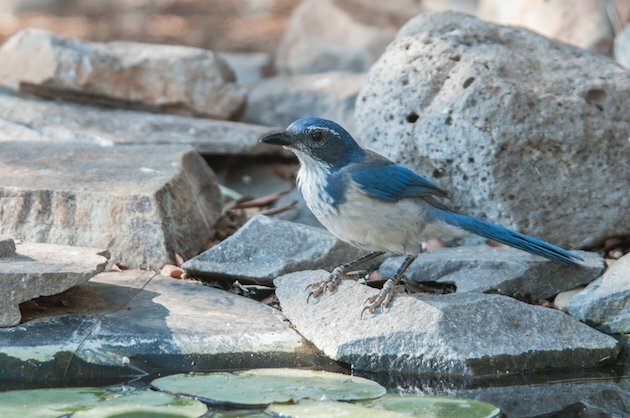 The birds don’t just drink from various parts of the water feature, they bathe in it too! Like this young male Anna’s Hummingbird (Calypte anna). 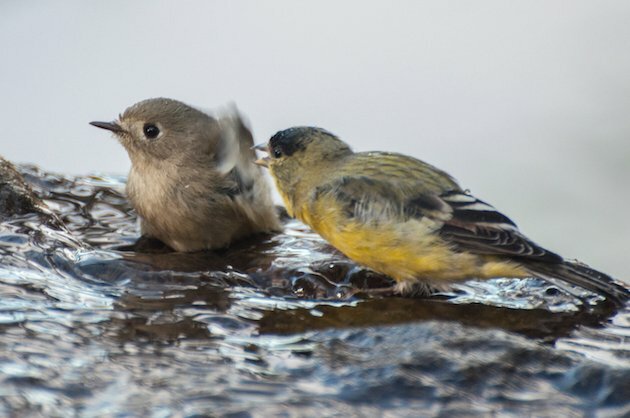 Even though there are several spots where different species can take baths at their leisure, this male Lesser Goldfinch (Spinus psaltria) decided to evict a Ruby-crowned Kinglet (Regulus calendula) that was really enjoying itself! 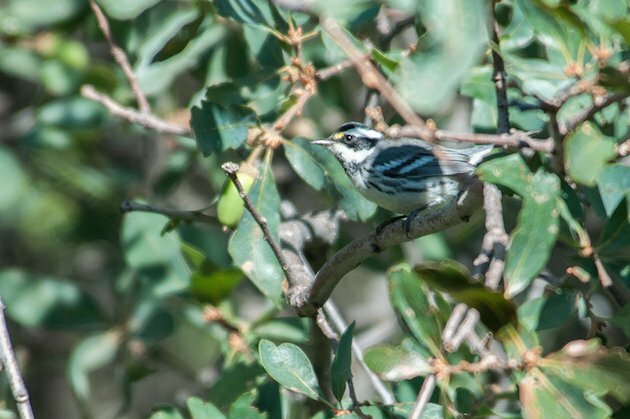 and a real rarity in my yard, a Black-throated Gray Warbler (Setophaga nigrescens). 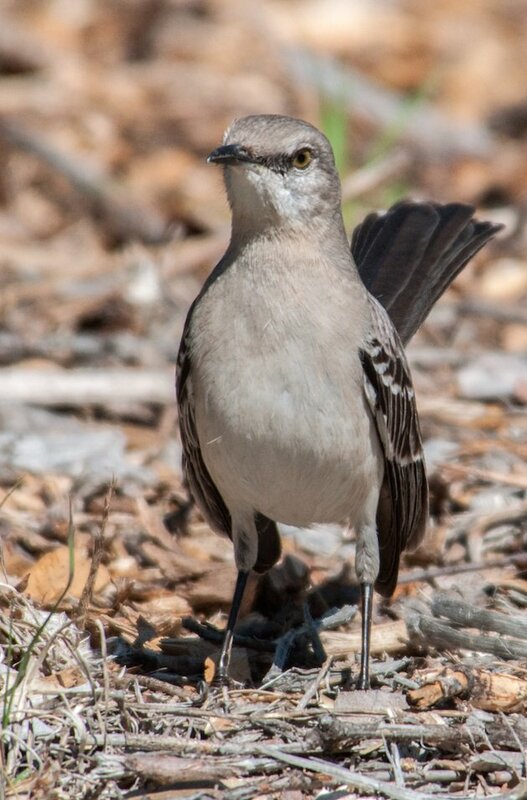 I also added a new surprise species to my yard list, a Northern Mockingbird (Mimus polyglottos)! 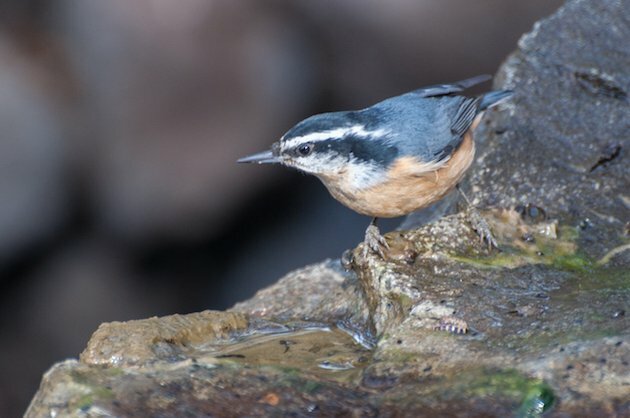 The winter before last I had a Red-breasted Nuthatch (Sitta canadensis) stay the entire winter here. I have one visiting again now. I hope he stays for awhile too. 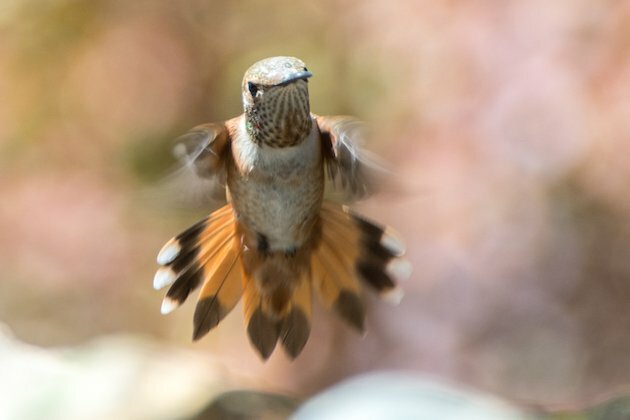 This female Rufous Hummingbird (Selasphorus rufus) is enjoying the water during her southern migration. 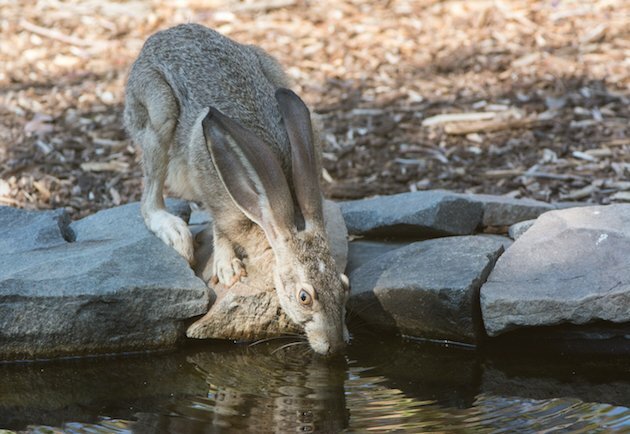 and the Black-tailed Jackrabbit (Lepus californicus). I put together a short video of the water feature and its recent visitors. I hope you enjoy it. 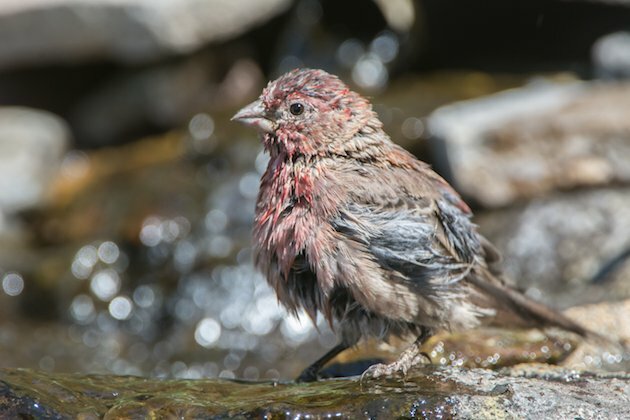 I’ll leave you with this shot of a molting male House Finch (Carpodacus cassinii) taking a bath. Larry, you write such beautiful posts: and I really mean artistic. I always learn and I always feel uplifted. Thank you. Thank you Laura. 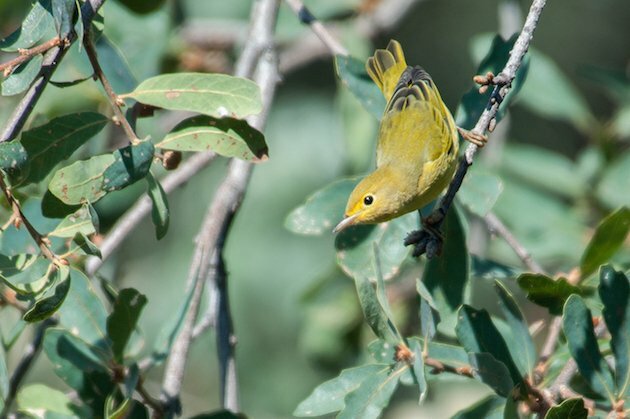 I enjoy photographing the birds and giving others some insight into their habits and behaviors. I love how you’ve created different levels to your water feature to meet different species needs. 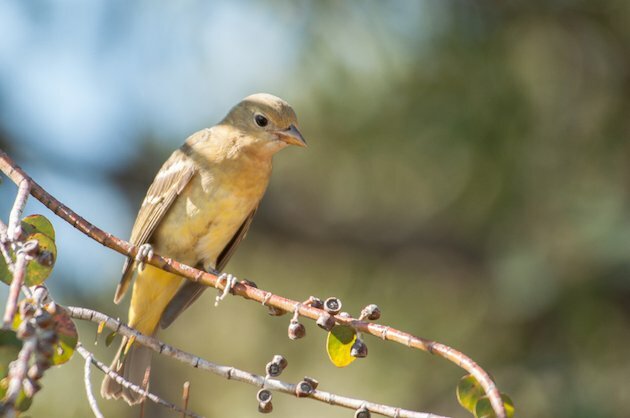 It made me think how difficult it must be for most birds, and other creatures to gain regular access to water without a water feature available. 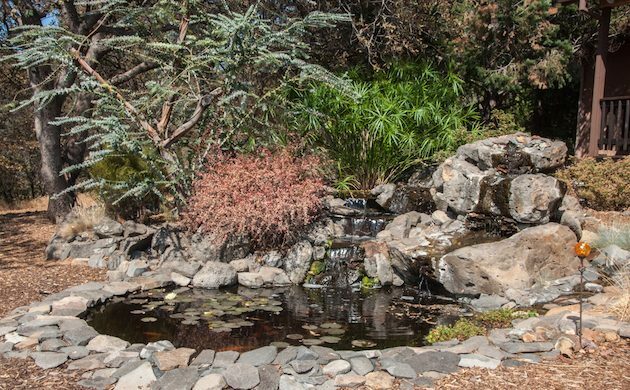 You’ve made your water feature appear very natural. That must have been a challenge. It’s wonderful! Thank you Charles! it definitely is my pleasure! I absolutely love your photos! Our house came with a very small water feature in our front yard which is within 10 feet of our front window. It is difficult to get pictures because I have to take them through the screen. 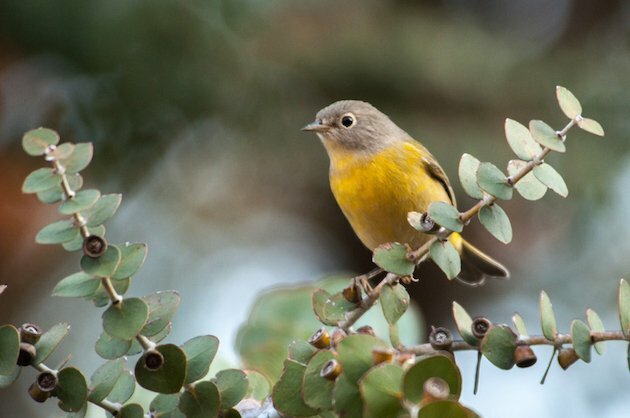 There are two feeders out front and this year our visitors were yellow-throated vireo, yellow-throated warbler and a pair of painted buntings…so exciting! Would love to know how you manage such great shots.